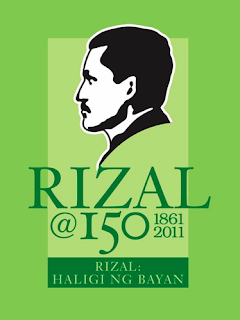 In celebration of the sesquicentennial birth anniversary of Jose Rizal, the National Historical Commission of the Philippines, in partnership with the Philippine Postal Corporation, is launching the 150th Birth Anniversary of Jose Rizal Postage Stamp Design Contest. 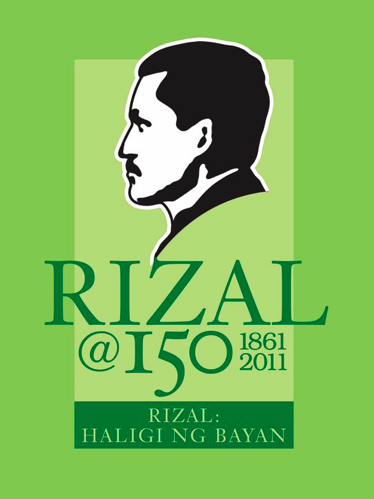 The contest is designed to commemorate and celebrate the 150th birth anniversary of Dr. Jose P. Rizal on June 19, 2011. It aims to promote awareness of the life, ideals and greatness of Rizal and his contribution to the development of Philippine nationhood. Participants will have the chance to interpret their perception of the national hero and his significance in Philippine history. 1. This contest is open to all college students, amateurs and professionals. 3. Together with CD with file in jpeg format, entries must be submitted in vertical format 8 ¾ inches x 11 ½ inches mounted on ¼ size black and white illustration board (please note that the actual stamp size is 30 x 40 mm). 4. The artwork must be accompanied by a write up or interpretation of the theme and the design in 100 words or more. 5. Artworks must be executed through computer or digital art. There are no restrictions as to the use of colors in the artworks. 6. The name, address and contact number of the designer together with the name of the school, if a student, should be attached at the back of the illustration board. 7. The design shall not incorporate postage stamp theme, or numbers representing the denomination or year of issue. 8. All materials will be provided by the participants. 9. There will only be one entry for each participant. 10. Winning entries shall automatically become the property of the Postal Museum and Philatelic Library of the Philippine Postal Corporation. 11. The NHCP may implement revisions on the design, if necessary. 13. Deadline of submission of entries will be on February 28, 2011, 5:00 pm, at the Historic Sites and Education Division, NHCP, T.M. Kalaw Street, Ermita, Manila. 14. Announcement of winners will be on March 4, 2011. All participants will be awarded Certificates of Participation and winners shall be given Tokens of Recognition. Winning entries will be used in a Special Limited Stamp Issue by the Philpost to commemorate the 150th Birth Anniversary of Jose Rizal. For further details, please call up Arch. Veronica A. Dado, Chief, Historic Sites and Education Division, National Historical Commission of the Philippines at telephone number/s (632) 523-1019 or 524-9952.